Christmas is coming, y'all! 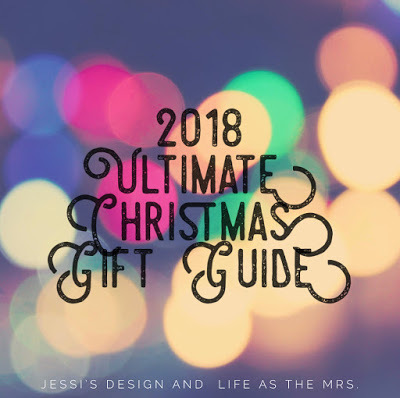 In the spirit of making things as easy and stress free as can be, I thought I'd share an Amazon inspired Christmas list. What's better than being able to order everything with a couple clicks, all from the same place!? Maybe doing it from your couch, with a mug of peppermint hot chocolate and a Christmas movie in the background? 1.This beautiful, and affordable, scarf that will probably match everything she wears this season. 2. I love how gorgeous this diffuser is, perfect for any oil lover. 3. These ugg slippers are a little more of a splurge, but they're so comfy and classic. 1. This Bose speaker is small but gets loud, perfect for around the house, by the pool, or when he's working on God knows what in the garage. 2. I love this classic North Face jacket. This is an investment piece in my opinion, he can wear it for many winters to come! 3. These headphones are my husband's favorite. He's had the wired ones for years, so this Christmas he's getting these upgraded wireless ones! 1. A shower speaker for the music lover. 2. Teens are loving these polaroid cameras. This "avocado" color is cool for girls and guys! 3. An Amazon echo for the tech loving teen. 1. I love this kids teepee, the perfect spot to hide out or read some books. 2. This play kitchen in white is so classic and cool, and sure to get tons of use! 3. Pie Face! This is such a fun little game both little boys and girls just love! If you need more ideas, I've linked up today with Jessi and Brittany in part of the ultimate Christmas gift guide! I hope all my picks give you a little help or at least some inspiration for all those hard to shop for friends and family members.. and I hope you're sitting down with your hot cocoa and your Christmas movie, and getting all this shopping done from your couch today! All items can be shopped by tapping on the photo. This post does contain affiliate links! Also, I heard a little rumor that Amazon is offering free shipping this season, even for non prime members! So shop away with no shipping today! Happy shopping friends!! I love these ideas! Pie Face is on my list for the boys. 😂 And those Uggs are on mine. Thanks for linking up with us today!